Online communities share common values. There is no better way to promote and empower learning than facilitating your learners to build strong online learning communities. In this article, I'll share the top 10 eLearning activities you can provide to help your learners build a powerful online learning community that ensures that learning takes place in an engaging, trusting, and highly motivating online environment. Indeed, collaboration can take you a long way; it’s the exchange and sharing of ideas that empowers and leads to success. Online collaboration fosters an environment of trust; it helps your audience feel more comfortable in the online learning environment and thus more motivated to actively participate in your eLearning courses. If done right, online collaboration can also boost your learners’ engagement, as it can help align your audience’s expectations with your learning objectives and provide a way to ask questions and exchange feedback via online discussions. You make clear that you want to know your audience. You establish learning goals and objectives from the beginning. You have a strong, that is, regular and visible, online presence. You provide the netiquette for online discussions. You offer immediate feedback by quickly responding to online questions and addressing your audience’s concerns. In this article, I will share the top 10 eLearning activities that can help you build stronger online learning communities and ensure that all of your online learners, make the most out of their eLearning experience. “Let’s Get To Know Each Other”. One of the simplest yet very effective eLearning activities you can employ is an introductory online discussion at the beginning of the eLearning course. First, you must also introduce yourself. Then, ask your learners to post short introductions of themselves, such as their names, their ages, their job titles or what they’re studying, and most importantly, why they are taking this eLearning course. Encourage them to interact with each other by commenting on their virtual classmates' posts, asking questions, or expanding their own thoughts. This will help eliminate the anonymity of the virtual classroom, establish trust among your audience, and make a positive start. If you are following a blended learning approach, you can create an eLearning activity to “break the ice” before face-to-face classroom training takes place. Gathering the trainees online before a traditional classroom training seminar will help accelerate the group’s ability to form, and thus perform more effectively the tasks they need to complete throughout their seminar. Furthermore, this will save both you and your learners time, as by the time they meet for their classroom training they will have already established relationships by having already introduced themselves to each other, having exchanged thoughts and concerns, and, therefore, they will be ready to focus on the training material. Here, it's the medium that makes the difference: Using a popular software application such as Skype for online discussions will make your learners feel more comfortable and engage with your eLearning content faster and more effectively, as they will be asked to use a medium that they are already using in their everyday lives. The subject of the online discussion is not of great importance; you can ask of your learners to comment on a course-related interesting famous quote or require them to consider a course-related problem and find a solution. The important thing is to have them all interact with each other and exchange ideas. eLearning Games that promote team building. What is the best way to boost knowledge retention while encouraging goal achievement, online collaboration, and competitive spirit at the same time? That’s right; an eLearning game. Team player eLearning games make eLearning fun and interactive; they also allow your audience to put what they are learning to use, develop their problem solving skills, and make challenging decisions in a risk-free environment. Moreover, by participating in team player eLearning games your learners play together while they enhance their eLearning experience by building stronger bonds with their virtual classmates. Another very simple eLearning activity to encourage online discussions and collaboration: Sending out an email to the whole group by inviting all recipients to reply to all. The content of your initial email could be an icebreaker question, or a suggestion for improvement related to the eLearning course, or even a question asking for feedback about the latest eLearning activity or online module. "Reply to all" emails can be very engaging as eLearning activities, especially when adding a little dose of humor. Just make sure that you actively participate in the online discussion by commenting regularly on your learners’ replies and encouraging the shyest members of your audience to express themselves by sharing their thoughts. Ask of your learners to assess their virtual classmates’ progress and offer them constructive feedback. Create small teams of equally “strong”, or "weak” participants, respectively, and require them to make judgments: What were the most powerful points in their peers’ arguments and why? How could they be combined with their own arguments to build a stronger thesis? This will both encourage online collaboration and develop your learners’ critical thinking and evaluation skills. Branching scenarios are a great tool to offer learners the opportunity to access their knowledge base and also learn from their mistakes in a risk-free environment. Consider encouraging online collaboration by dividing your learners into small groups where each group takes a different path in the online scenario. Then, ask them to compare notes and see how their different decisions affected the outcomes of the online scenario. This way, you will help them develop their decision making abilities and see the results of their choices via meaningful team work. Between eLearning modules, you can arrange short online meetings with your learners to discuss what it has been learnt, offer eLearning feedback, and answer questions. This overview will not only give you the opportunity to see if your key points and messages have gotten across, but also keep your audience engaged; both with your eLearning content and each other. Transferring Discussions On Social Media. Social media are by default the ultimate platforms for building online communities. Consider creating a Facebook group and transferring the online conversation there. You can require your learners to examine arguments, suggest new ways to apply their newly acquired knowledge, challenge assumptions, and share new ideas, perspectives, and solutions while connecting with each other. You can also ask them to share their insights on the topic on Twitter, via course-related hashtags. The odds are, they will be very happy to actively participate in any eLearning activity when they are on their favorite online places. 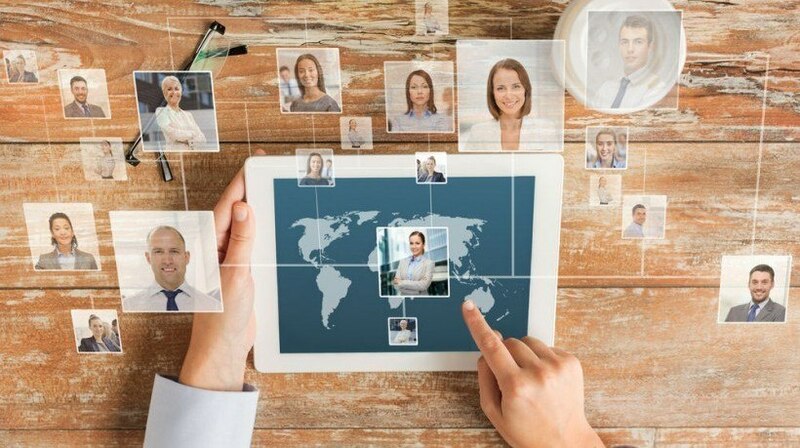 In case of corporate eLearning, organizing an online conference can be a great way to build an online learning community: Interactive PowerPoint presentations, streaming eLearning videos, live chats that allow for networking, sharing of resources and information, they all become possible via a powerful online conference that may take place over several days or even several weeks, depending on your goals. This eLearning activity can be especially useful for boosting engagement among distributed workforce, as it reinforces your company’s internal social network, wherever they are. Now that you know the top 10 online learning activities to promote social learning and build strong online learning communities, you may be interested in learning how to use one of the greatest online social platforms, LinkedIn, for your benefit as an eLearning professional. Read the article 10 Netiquette Tips For Online Discussions to discover 10 invaluable tips for participating in online discussions, so that you will be able to make the most of your eLearning experience.